I rolled my eyes dramatically even though she couldn’t see me and climbed into the bath fully clothed. I lay down and crossed my arms like a snoozing vampire. And then a bottle of Herbal Essences fell on my head. I did realize that living in the bathroom was not a long-term life plan. It was a last-chance-saloon act of desperation. At some point I was going to have to either jump out of the window, or just unlock the door and skulk back out. Not exactly Braveheart material. I wonder if anyone has ever locked themselves in a bathroom and come out victorious? Kicked out of ballet academy, Mouse is hating the school ski trip. Jack was sure it’d be filled with danger and girls, but hasn’t a clue about either. That’s until French teen sensation Roland arrives in the resort – and Jack’s a dead ringer for him. After Roland persuades Jack to be his stand-in for a day, Jack, in disguise, declares his feelings for Mouse. But what happens when he’s no longer a pop star – will there still be music and magic on the slopes? From the critically-acclaimed authors of Lobsters, shortlisted for the YA Book Prize. Day 2 of NaNoWriMo has commenced! 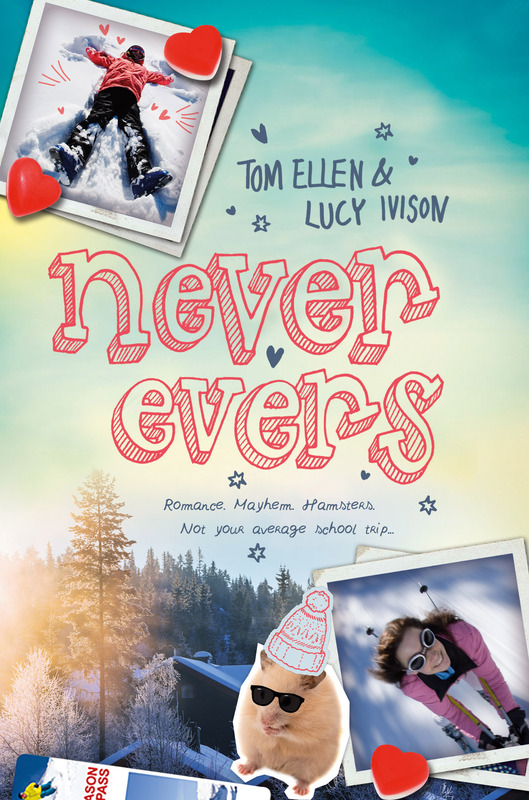 If you're still feeling a bit unsure about how to get pen to paper – and get that story in to shape – look no further than Tom Ellen & Lucy Ivison!